Having grown up in Seattle coffee has always been a part of my life. I've had every type of coffee making gizmo you can imagine and have a very particular way that I like my coffee. All this coffee has led to a lot of used coffee grounds. Now I am one of those people who hates to throw anything out. I literally try to reuse or recycle everything. It's a major part of the reason that I cook from scratch. Not only does it save money, but it greatly reduces the amount of waste and trash that my family goes through. So I also reuse my coffee grounds. That's right instead of throwing my used coffee grounds out I use them in my garden. 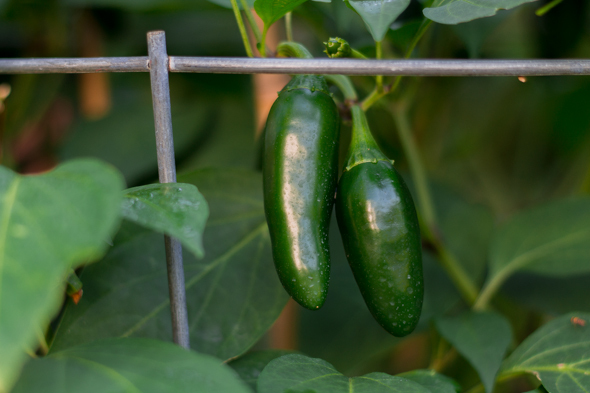 Any of you that garden flowers, fruits, or vegetables know that certain plants like higher or lower amounts of various nutrients. The soil in the area that I live in is full of clay. It holds moisture and drains horribly. Additionally my soil is very alkaline. I have to reduce the pH for pretty much anything to grow, especially my azaleas and acid loving plants. My neighbors have all decided I'm pretty much nuts as I take my pH/moisture meter out everyday and test my soil. 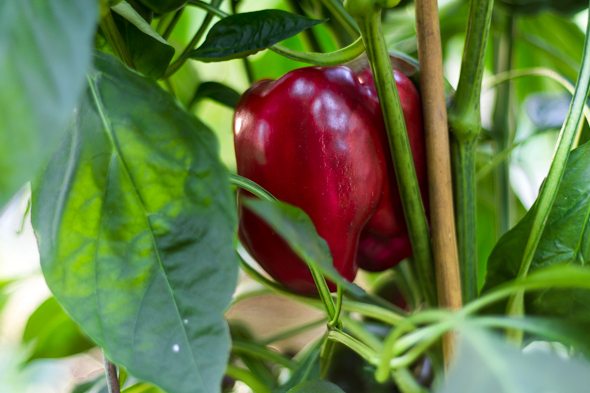 In order to amend my soil and make it more favorable for my various plants I compost and use natural fertilizers. One of the various items I add to my less than stellar base soil is used coffee grounds. Now there are a couple of ways this can be done. Add used coffee grounds around the base of plants. Dig into the soil a couple of inches and add in the grounds then re-cover with soil. Make a compost tea. Place coffee grounds into a bucket of water, let sit overnight and then water your plants. My tomatoes and peppers love compost tea. Use grounds to deter snails and slugs. I have a horrible slug problem in the beginning of most summers due to torrential thunderstorms each year. While beer is the best solution, it isn't always feasible when it rains all the time. The coffee grounds are a nice deterrent for pests, just add a ring around your plants. That's it. 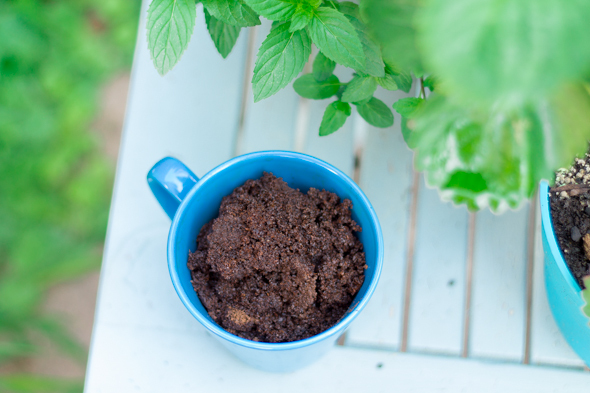 Coffee grounds can be great for your garden and save on your trash. Plus it gives you a great excuse to have that afternoon cup!